You can not come to visit Egypt without visiting the three pyramids! 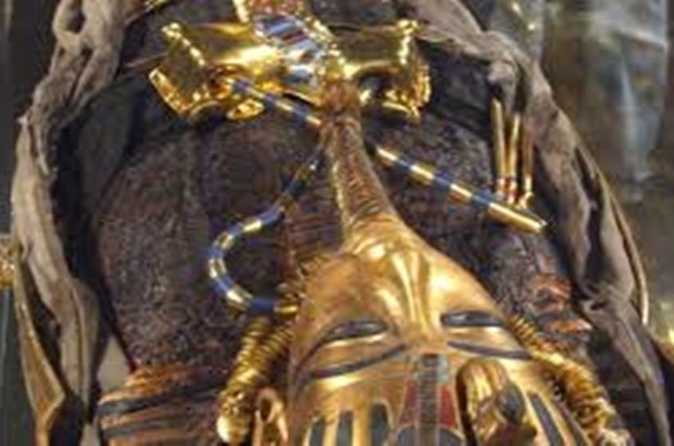 Discover the ancient Egyptian civilization and the magic of the desert. 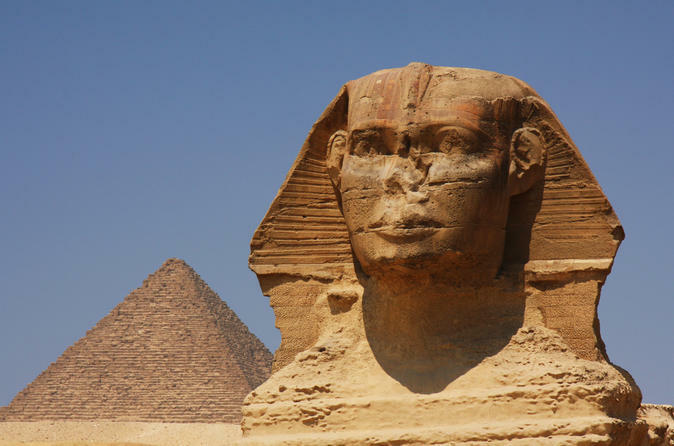 Also do not miss to watch the Sphinx statue, which shows the man's wisdom and power of the lion. 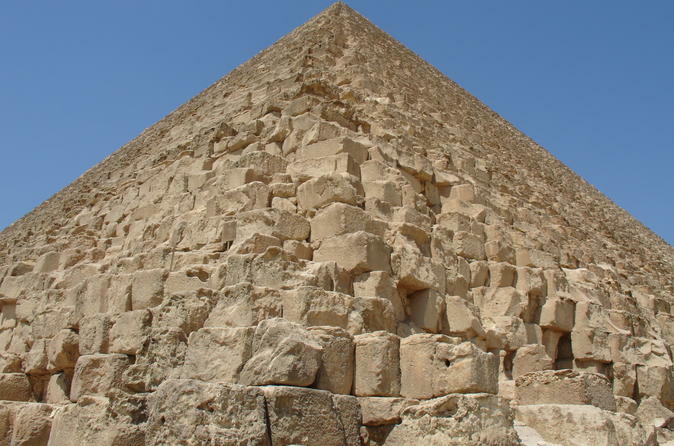 A half day tour in Cairo to visit the Pyramids of Giza and Sphinx with their grandeur architecture that testifies the glory of ancient Egypt civilization. 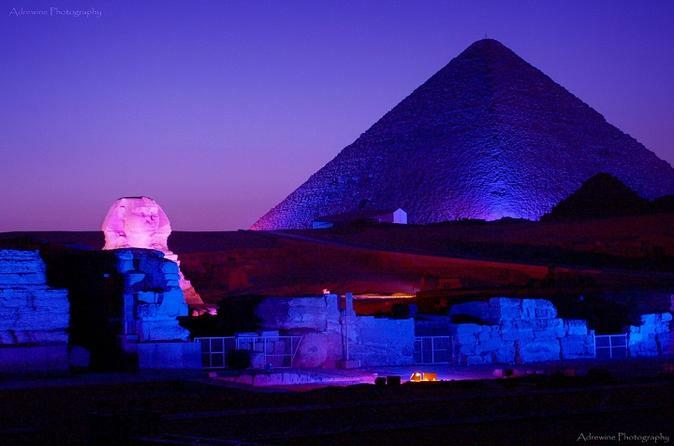 Sound and light show at the Pyramids of Giza plateau is a magical performance where the Pyramids and their guardian Sphinx are illuminated by floodlight and a recorded narration tell snippets of history and myths of ancient Egypt. This tour includes; The Egyptian Museum entry ticket, Pyramids of Giza (the site and the Sphinx) and walking tour at the Khan El Khalili Bazaar. 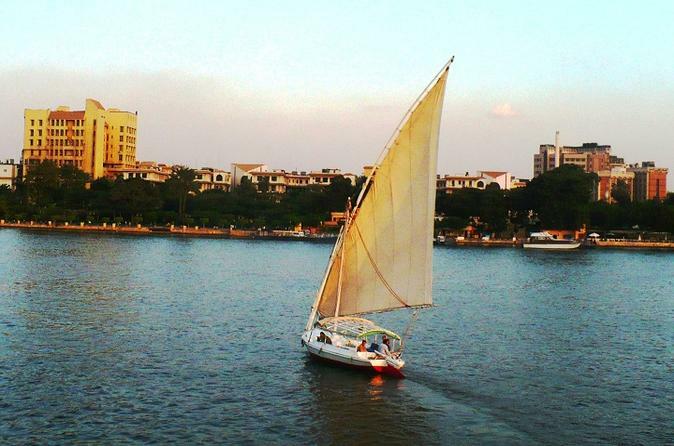 A relaxing felucca sailing ride on board the Nile River in Cairo where you can sit and relax to enjoy the wind breeze at sunset while watching the the sceneries along the banks of the Nile River. 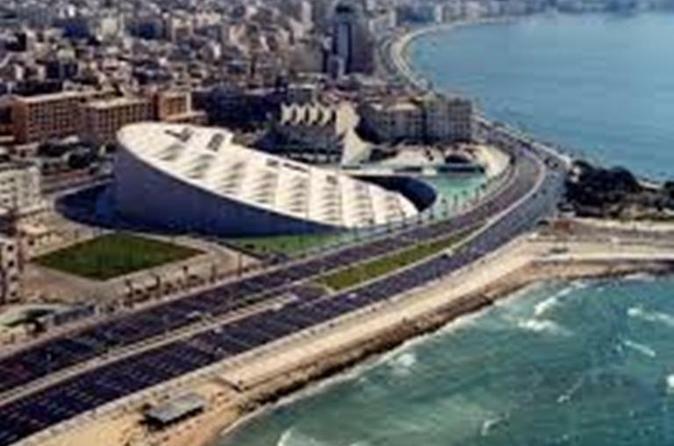 Enjoy a full day tour to Alexandria joined by Egyptologist and enjoy sea food lunch. Pick-up and drop-offs are from Cairo and Giza hotels with air conditioned van. 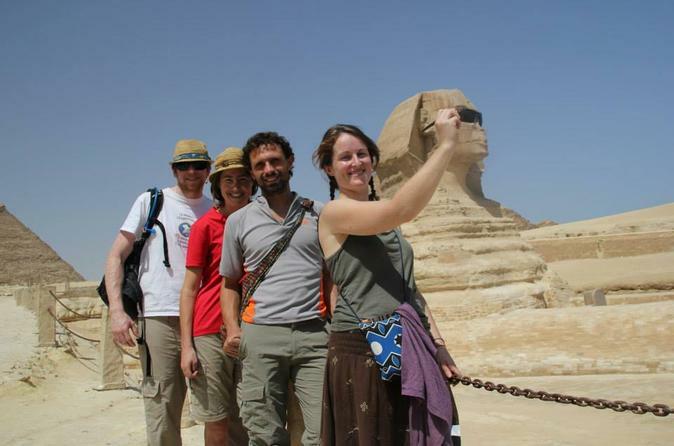 This small-group tour is the one for fulfilling your life-time dream of visiting and exploring the pyramids of Giza and the Sphinx, You can do it at a very reasonable price and expect a classy service including a professional Egyptologist tour guide, Modern a/c van and WiFi during the tour. A full day Cairo tour to visit the main landmark of this vibrant city. 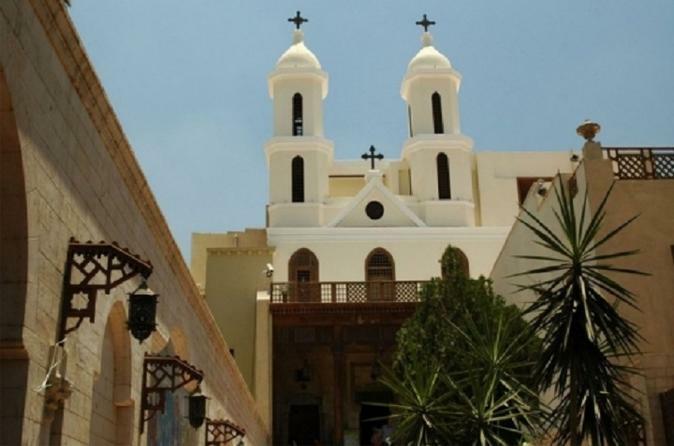 The tour includes visiting the Egyptian Museum with its awesome artefacts and old Cairo with its Christian heritage where you will see the many churches in the area, Hanging Church, Church of Mar Gergius, Saint Barbara Church and the Ben Ezraa Synagogue. Your will enjoy strolling in Cairo's oldest Bazaar with its glittering merchandize that will take to you to Aladdin settings. 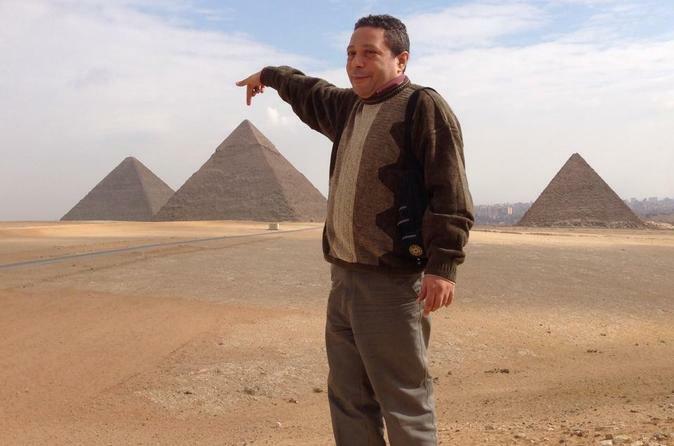 Private tour to visit the three pyramids of Giza in an air-conditioned coach with your personal multilingual Egyptologist tour guide.